The new event will build on the success of last year's '�s an Tobar' Gaelic book festival. The organising groups of last year’s ‘Toradh/Harvest’ festival of food and writing are preparing a Uist-wide book festival for November, 2018. ‘Às an Tobar/Wellsprings’ will build on the success of last year’s Gaelic-medium literature festival organised by Ceòlas Uibhist, expanding the array of events to also include English-medium literature. 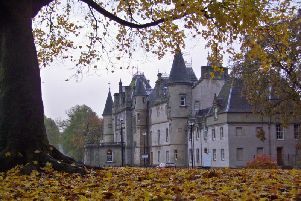 It is to take place during Book Week Scotland, 19-25 November. Although organisations will host literature events individually, the festival will be coordinated to share resources and avoid clashes. A writing competition will be held, with a focus on the Year of Young People, for poetry and prose, both in English and Gaelic. It is hoped that young people will participate through the area schools in addition to an adult category. Organisers would like to invite any interested persons or organisations who would like to take part to the next meeting at Cothrom on 12 April at 11am.